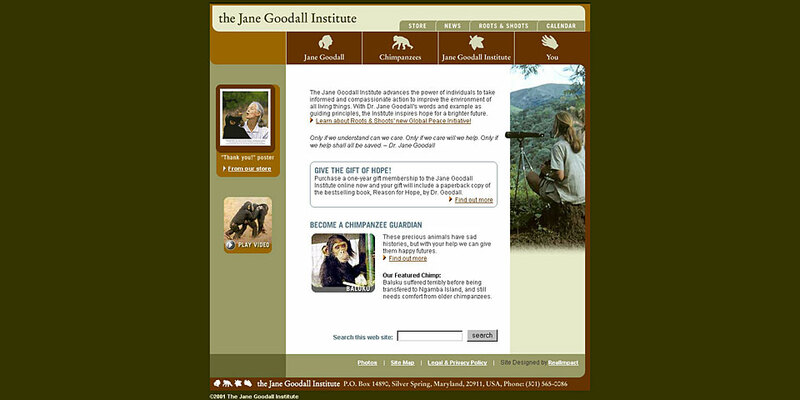 I have tremendous admiration for Jane Goodall, so it was quite an honor to design a website for the Jane Goodall Institute in 2001. I designed all the pages and built the templates in HTML and CSS. 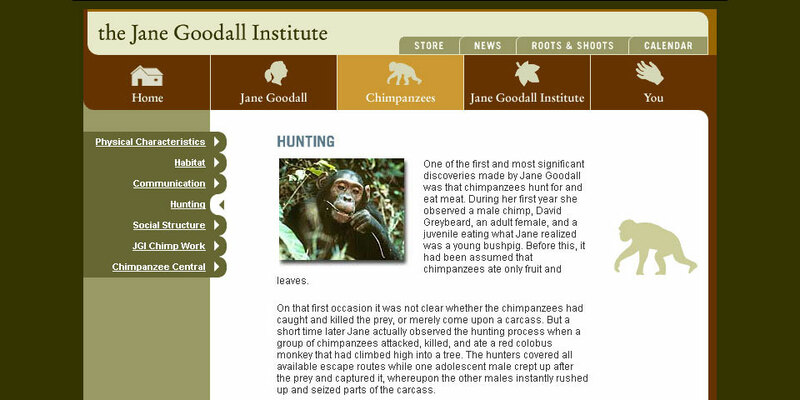 The site was nominated for a Webby award, which brought welcome exposure to the site and the Institute. 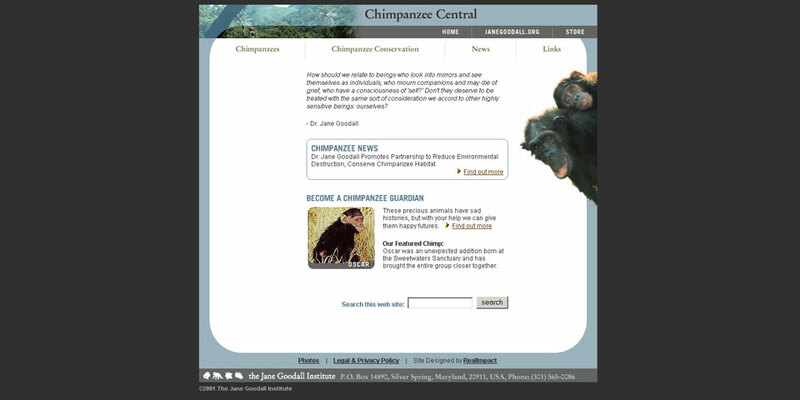 I also created a sub-site called Chimpanzee Central that brought attention to Chimpanzees and their endangered habitat. I worked on this project as part of the RealImpact team, which was a part of RealNetworks. Content © 2019 Sara Ullman.